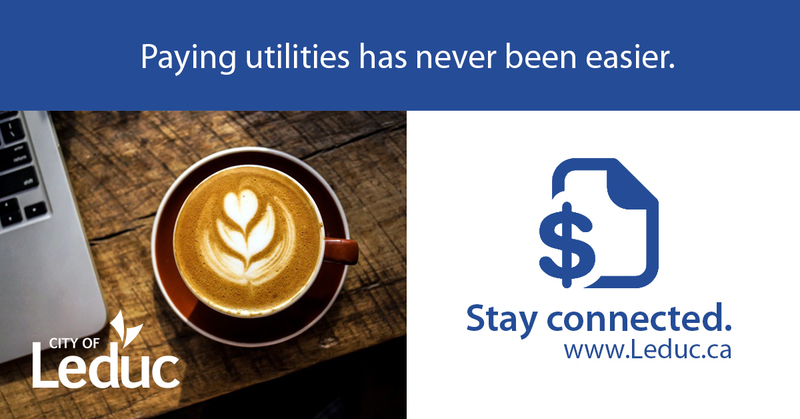 Utilities are billed every 60 days and bills are due the 15th of every month. A penalty is applied to any overdue account balances. Please be aware the city does not provide natural gas or electricity. You will need to set up separate accounts with a third party to access those services. For after-hours water and wastewater emergencies, contact: 780-980-7108. Property owners can call 780-980-7177 to set up their account. Renters are required to fill out and sign all appropriate forms prior to opening a utility account. Utility forms can be faxed to 780-980-7127, emailed to utilities@leduc.ca or dropped off at the Leduc Civic Centre (48A Street & 46 Avenue). Does the city require a deposit? Yes. We require a deposit if you are not the registered owner of the property you are occupying. The residential account deposit is $225 and commercial/industrial accounts are determined by the water meter size (ranging from $225 - $5,000). If you plan on paying your deposit through credit card, please fill out the Credit Card Authorization Form.